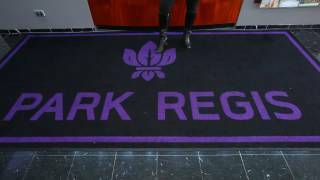 Park Regis Concierge Apartments is located amidst the prestigious yet relaxed village atmosphere of Cremorne - just a few minutes drive north of Sydney's city centre. Conveniently located on Military Road, Park Regis Concierge Apartments is the perfect base for those who prefer to be just outside the hustle and bustle of the city. The hotel's city fringe location also gives visitors numerous sightseeing and entertainment options on the North Shore. Visit Taronga Zoo, take a swim at Balmoral or Manly Beach or stroll to picturesque Cremorne Point where you can take a ferry to the city or Mosman Bay. With some of the guest rooms offering impressive views across famous Sydney Harbour, Sydney cityscape and lower North Shore, relax and unwind in their self-contained studio or one bedroom apartments with air conditioning, television, DVD, mini stereo, complimentary wi-fi access (up to 1GB daily) and full kitchen and laundry facilities.